When you consider that 9/11 was staged by elements within western intelligence, the demonic nature of this government becomes very clear. 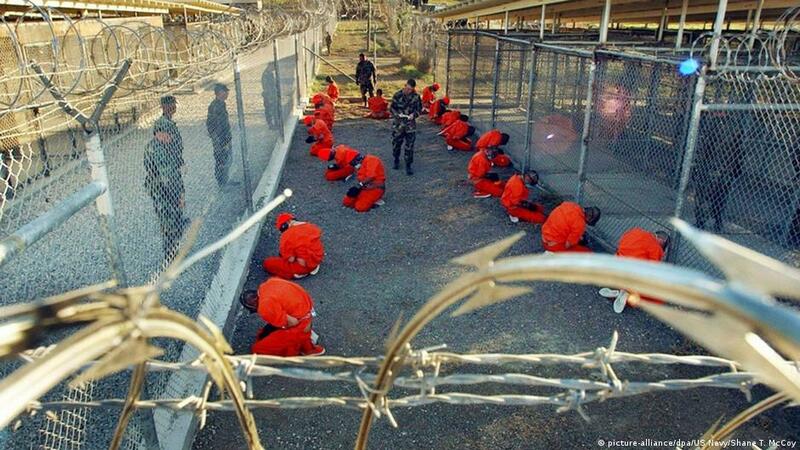 Nils Melzer, the UN special rapporteur on torture, on Wednesday urged the United States to end its torture of detainees held at the controversial Guantanamo Bay detention facility. The prison was opened under former President George W. Bush in the wake of the September 11, 2001, attacks for the purpose of housing alleged terror suspects. Although former President Barack Obama attempted to close the facility, it remains open, in part as a policy directive from sitting president, Donald Trump. The UN, Western countries and human rights organizations have criticized US authorities for creating a “legal black hole” that allows for the indefinite detention of suspects without charge, and for holding many of the detainees for more than a decade. How is it possible for a public figure to make patently, provably false statements about such an important topic? Does he not have access to academic resources to discover the well known fact that torture produces false information? The only reason it’s still in use by those in the know is to terrorize innocent populations under tyrannical governments. Is that our present situation? Is this fascism without troops in the streets yet because the people are still asleep? Uh, yes. Mussolini said fascism is a merger of corporations and government. It fits. Civil disobedience is not our problem. Our problem is civil obedience. Our problem is that numbers of people all over the world have obeyed the dictates of the leaders of their government and have gone to war, and millions have been killed because of this obedience. Our problem is that people are obedient all over the world in the face of poverty and starvation and stupidity, and war, and cruelty. Our problem is that people are obedient while the jails are full of petty thieves, and all the while the grand thieves are running and robbing the country. That’s our problem. Lucky Luciano’s grandson on the Vatican, U.S. Govt, Hoffa, Hollywood… and much, much more!